Why Host a Stampin’ Up! Workshop? Well, first there is the catalog. The Stampin’ Up! Idea Book & Catalog is over 250 pages. It includes over 600 stamp sets and over 200 accessories, with this much to choose from, chances are that EVERYONE can find something to fall in love with! You can also look in the index in the back of the catalog and find exactly what materials were used to make that sample you just HAVE to make. Then there’s our Hostess Program. Our Hostess Incentive Stamp Sets are split up into three Levels, the more workshop sales, the more Hostess Incentive Stamp Sets that you are eligible for! In addition to the incentive sets, you will also be entitled to Hostess Rewards. The Reward is your choice of FREE catalog merchandise! Our Hostess Program gives you the freedom of CHOICE! You will also receive a special thank you gift from me on the day of your party. And in addition anyone who books a workshop from your workshop, you will receive a free stamp set from me. Up to a 425.00 Value. In addition to these GREAT reasons, you have the option of me coming to your home, you coming to my home, or doing a catalog order. It’s up to you. I can help ensure your workshop will be successful, so make your wish list of FREE merchandise you want, and let’s start working toward your goal. I can honestly say I feel that Stampin’ Up! has done a fabulous job to make it easier for YOU to earn free merchandise and sets. With the constant introduction of new sets and accessories, I’ll never run out of new and interesting things to show you and your friends! Why sign up for my monthly publication. Do you like free things? Then sign up for my monthly publication and you will get the following for free. Creative tips and ideas, an exclusive project each month and more. Sign up now at www.bringjoywithstamping.com and click. Bring Joy Monthly. You are looking at an early release Stampin’ Up! suite. It is available to add to your starter kit now if you join my team. More details are available at www.bringjoywithstamping.com or you can call me at 413-203-5196. Starting August 1st you will be able to purchase it as a customer. 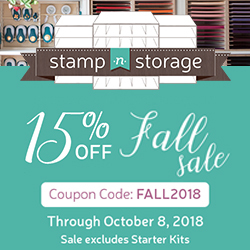 Free Stamp Pads when you Join Stampin’ Up! i would love to have you on my team.